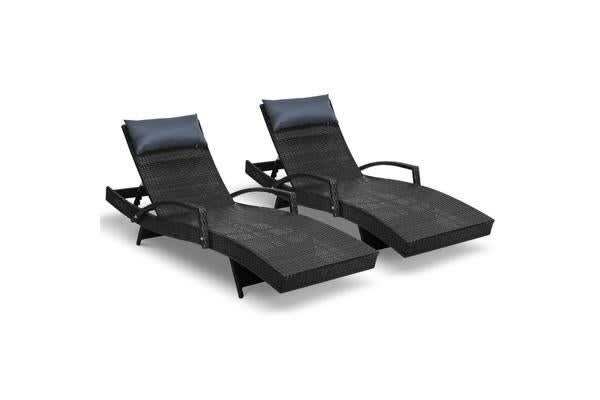 Take relaxation in your outdoor area to a whole new level with our amazing looking Gardeon Bedarra Lounge. Made of UV-resistant PE wicker, the lounge is stylish and chic with its slender profile. 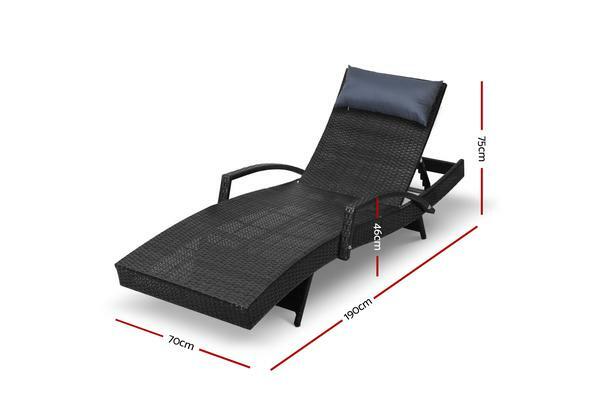 Just perfect for use at your balcony, veranda, deck, patio, garden or pool side. The aluminium frame is designed to be strong and durable with great anti-rust properties. Better still, the armrests feature a reversible design that can be adjusted four ways to suit your prefer(Red) support while the lounge can also be laid flat for that perfect tan or soothing rest. 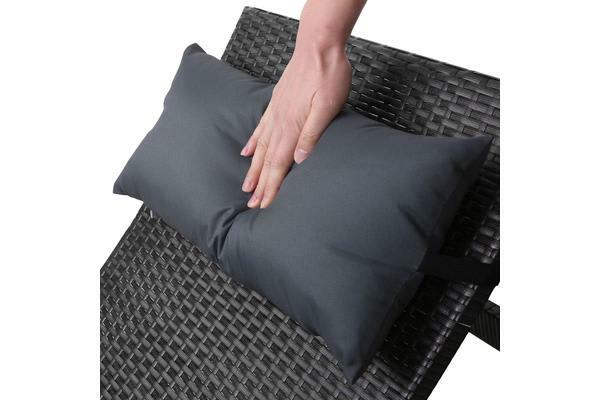 Not least, the lounge comes with an all-weather pillow for extra comfort with its washable cover easily removed for cleaning when requi(Red). Note: Minimal assembly is requi(Red).